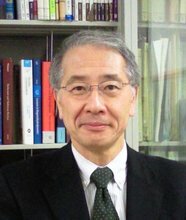 Toshiyuki Gotoh is a professor in the Department of Physical Science and Engineering at Nagoya Institute of Technology. He received his Master’s and Doctorate in Engineering at Nagoya University. He has been a visiting scientist at several leading international institutes, including the Kavli Institute for Theoretical Physics at UC Santa Barbara and the Isaac Newton Institute for Mathematical Sciences at Cambridge University. His main research interests are cloud turbulence, quantum turbulence, statistical theory of turbulence, high performance computation in fluid dynamics, non-newtonian fluid dynamics and mixing. Toshiyuki Gotoh is visiting scientist from march 19th until april 5th at the Ecole Centrale de Lyon at LMFA, in collaboration with Mikhael Gorokhovski and Wouter Bos.